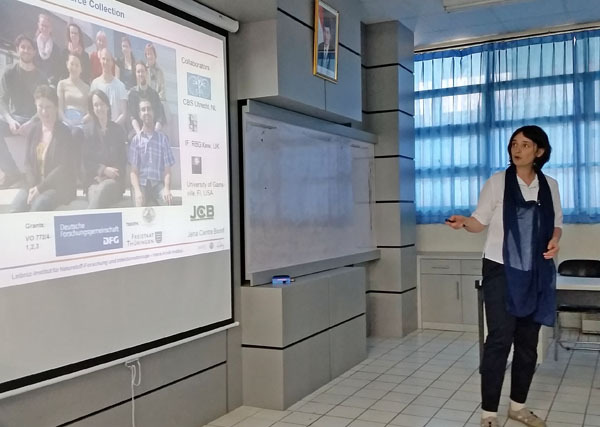 On March 30, 2016, the EMBRIO Seminar Series hosted a special guest from Germany, AProf. Dr. Kerstin Voigt. Dr. Voigt is Head of the Jena Microbial Resource Collection (JRMC) at the Leibniz Institute for Natural Product Research and Infection Biology (Hans Knöll Institute), Jena, Germany. She is also Deputy Head of the German National Reference Center for Invasive Mycoses. 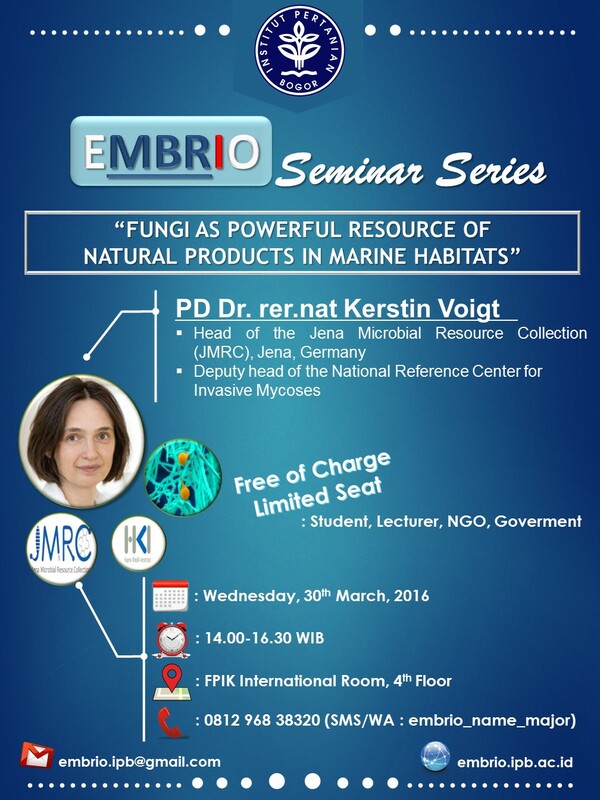 Within the EMBRIO Seminar Series Dr. Voigt gave a talk on “Fungi as powerful resource of natural products in marine habitats” with state-of-the-art insights on the evolution of fungi, identification techniques, interactions of fungi with other organisms, and the biotechnological potential of fungi as producers of bioactive compounds. 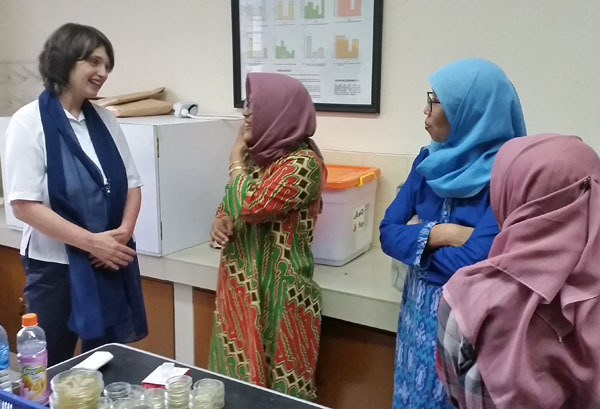 The talk was followed by Dr. Voigt’s visit to the IPB mycological collection and a vivid discussion on the potential for collaborations between Indonesian researcher and the JRMC.